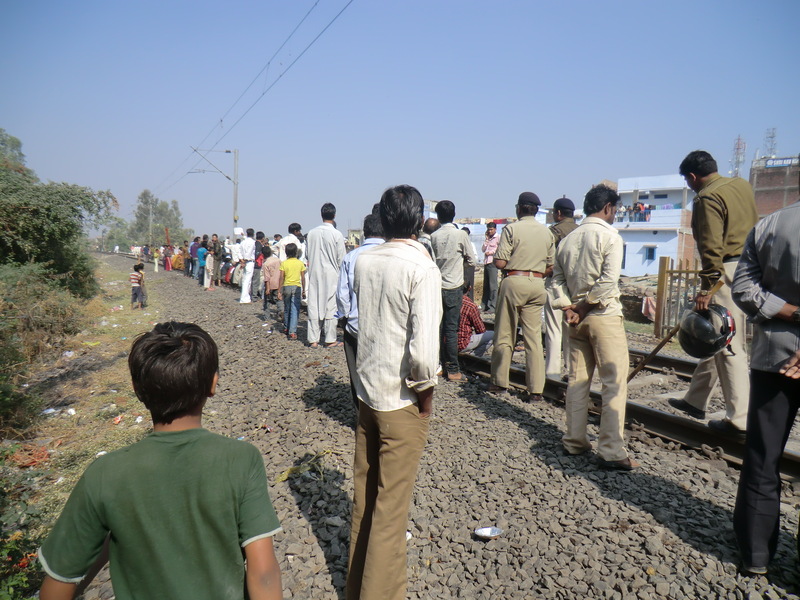 Apologies for the lack of posts on Tower Hamlets recently, but I’ve been busy on the Dow Chemical/Olympics controversy, including spending last week in Bhopal itself. Four months on from the Sunday Express’s attempts to nudge other UK newspapers into covering this story, IOC president Jacques Rogge himself was forced to comment on it yesterday…by defending Dow. Has Rogge ever visited Bhopal? I doubt it. London Assembly member Navin Shah, pictured below, has, however. 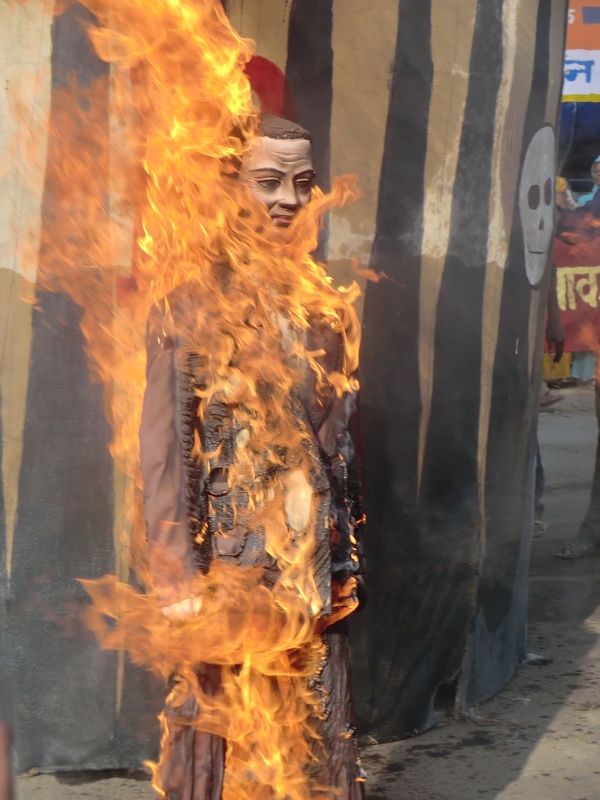 He was with me last Friday on the day an effigy of Coe was burnt in the city. He said Coe, rather than trotting out the lines from Dow’s PR machine, should also visit and try to understand the anger first hand. Dow continues to point out, quite correctly, that it never owned nor operated the Union Carbide plant, whose rusting structure remains a sinister presence right next to the city’s slums. For years it has been successful in persuading newspapers, whose lack of space prevents more detailed arguments, to stick to the events of December 2/3, 1984, with the simple message of “not us, guv”. Yet as gas victims point out, Dow knew precisely what it was buying when it merged with Union Carbide in 2001. 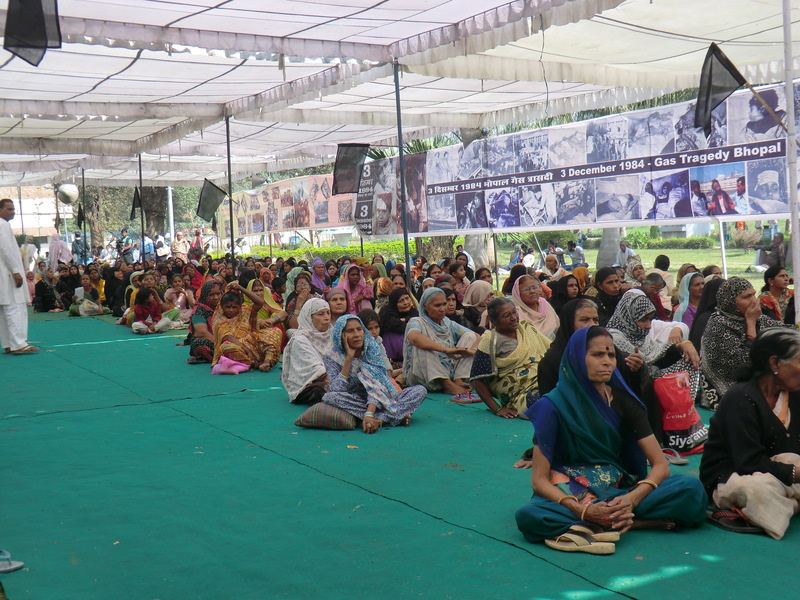 To them, it was buying not just Union Carbide’s profitable assets worldwide, but also its awful legacy. By denying any responsibility for cleaning up the groundwater pollution that began well before 1984 and which has continued with such terrible effects ever since, it shows a cynical lack of corporate morality, if such a term is not an oxymoron. 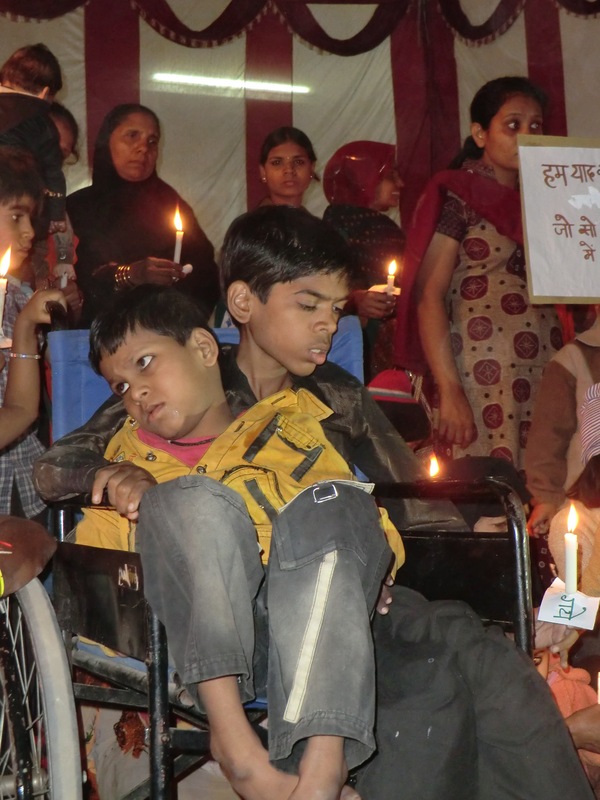 If it has no legal responsibility for Bhopal, neither then nor now, what is preventing it contributing to the medical efforts there? It has never donated a penny. No doubt it is worried that would be the thin end of the wedge, but they also would have known these risks in 2001. Lord Coe and Rogge are now proving themselves equally cynical and morally deficient, servants to the ethos and dollars of corporate giants. Their attitude makes a mockery of the so-called Olympic ideals. Sport Minister Hugh Robertson has also proved himself adept at being a Dow mouthpiece, glibly saying last week that “their products are in daily use all over London”. Yes, they may well be, and there is no doubt, either, that Dow does do work which benefits society – their water treatment plants are desperately needed in Bhopal – but such individual consumer choices are a world away from effectively using public money to let them use the centrepiece of the £9.3billion Games as their own advertising billboard. 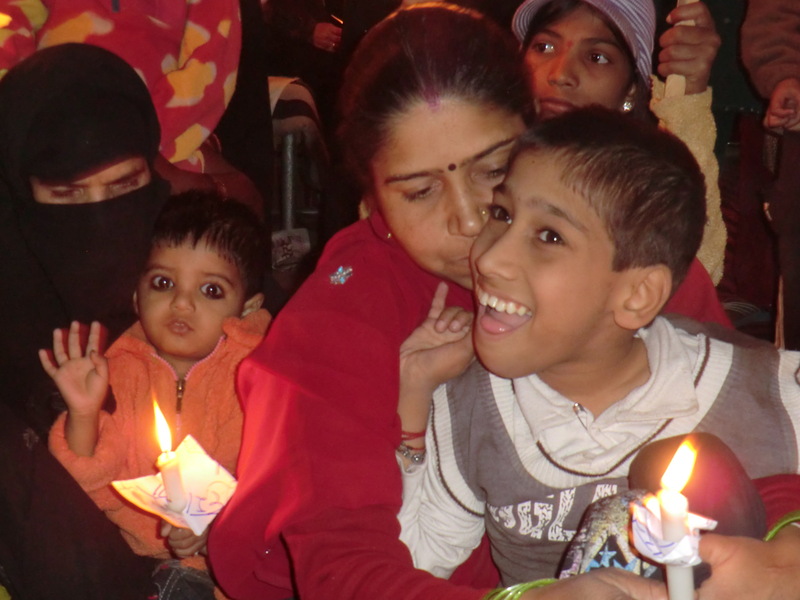 Here are a few of the people in Bhopal who object to Lord Coe’s decision. 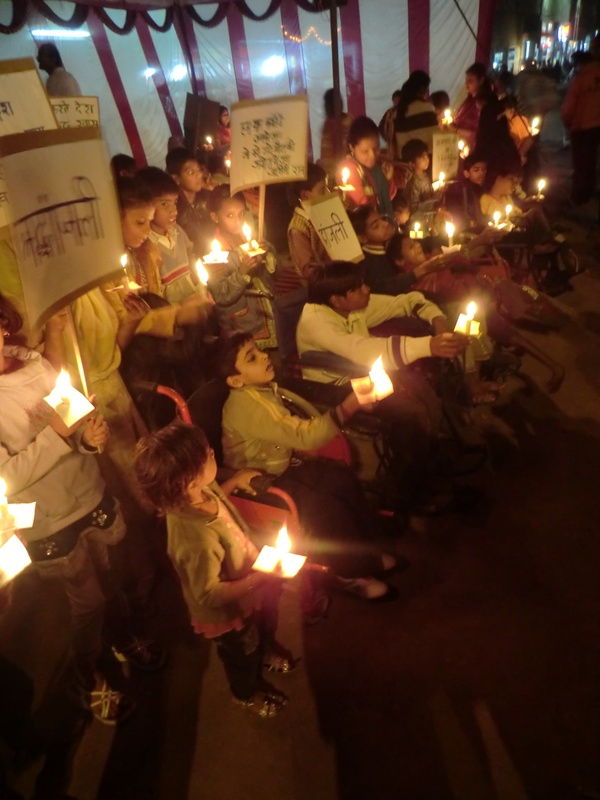 They were at a candlelight vigil on Friday night, all of them children of gas victims, born with congenital deformities and other disabilities said to be caused by polluted groundwater. Lord Coe really should go and talk to them. 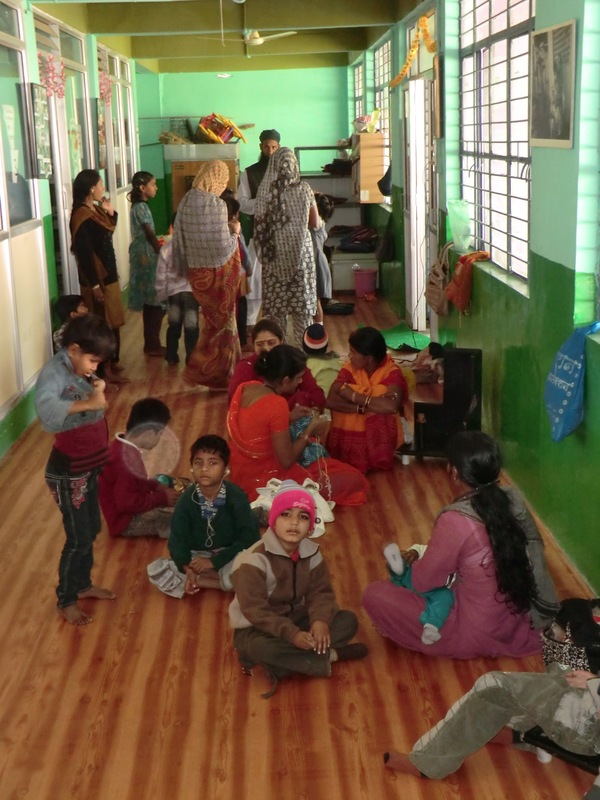 All these children are being cared for by the brilliant Chingari clinic, which is funded by the UK-based Bhopal Medical Appeal charity (two of its campaign leaders, Colin Toogood and Lorraine Close live in Tower Hamlets). I wrote extensively about the clinic in my report for the Sunday Express at the weekend, which I’ll upload separately in my next post. 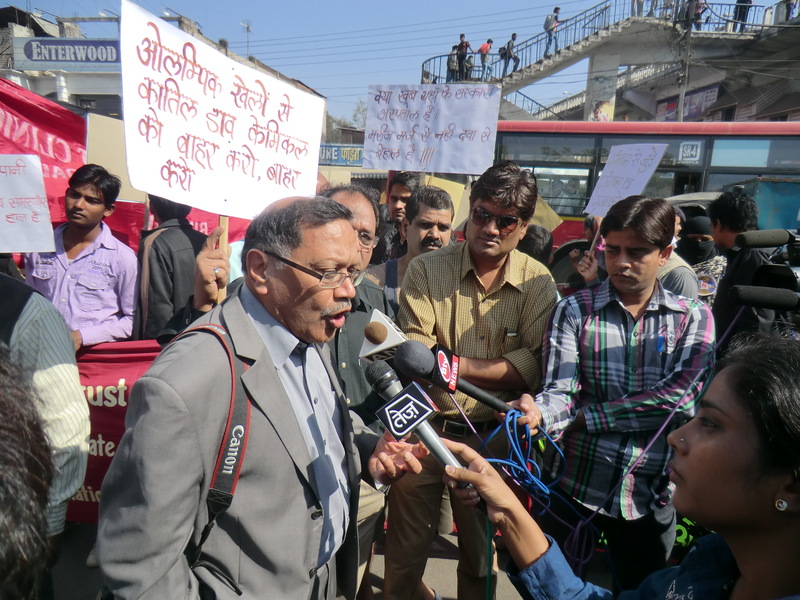 The clinic is just one part of several campaigns in Bhopal, where there is also anger against what is seen as the complicity of Indian government and state officials in preventing full justice: Dow is not their only enemy. 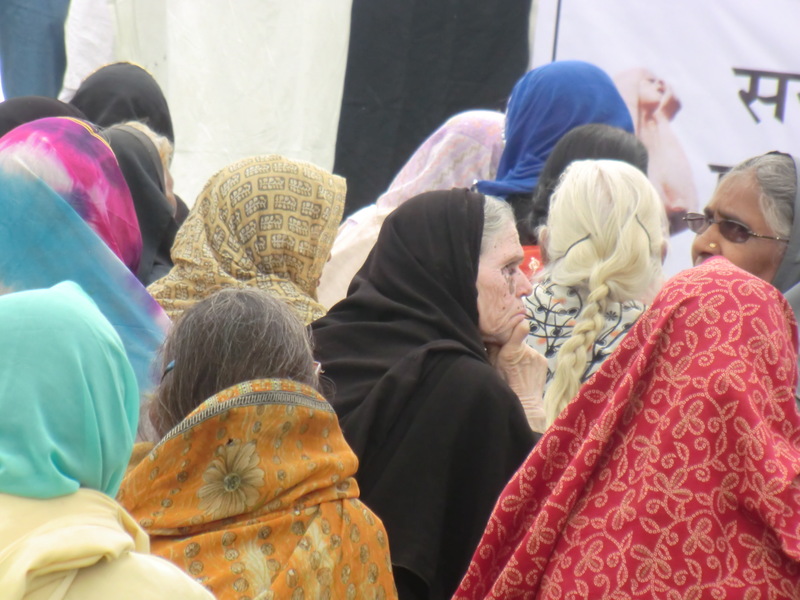 One of the leaders is Abdul Jabbar, himself a gas victim with an agonising raking cough but whose charisma has over the years amassed the support of thousands. 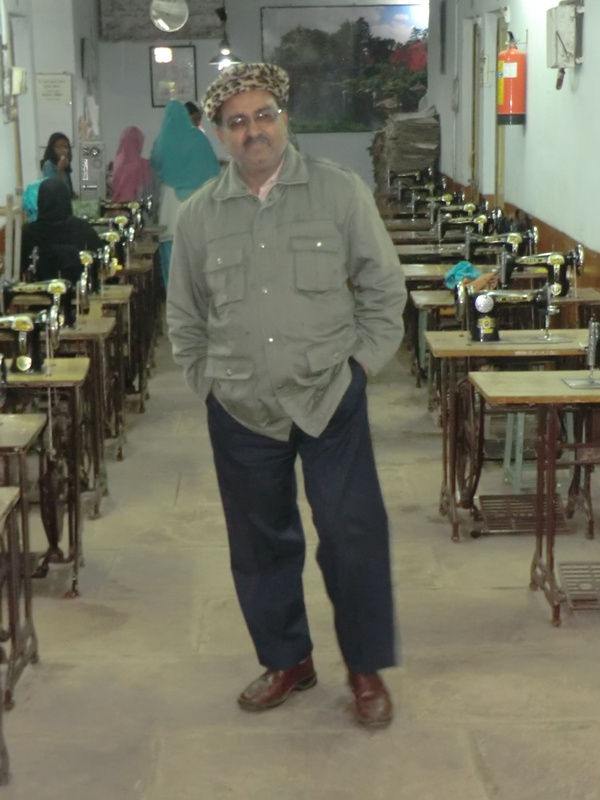 Here he is in a clean and well-run sari workshop he has set up for women from the gas-affected slums. 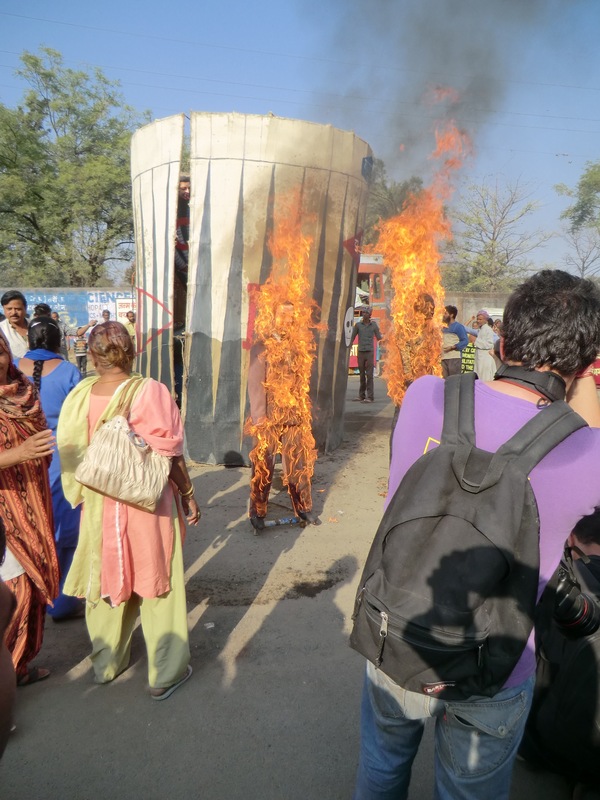 Other leaders of the campaign movement are Rachna Dhingra, pictured at the effigy burning below, and her husband Satinath Sarangi, who was a mercurial presence in Bhopal last week, disguised for a large part of it to avoid the police before Saturday’s rail blockade. 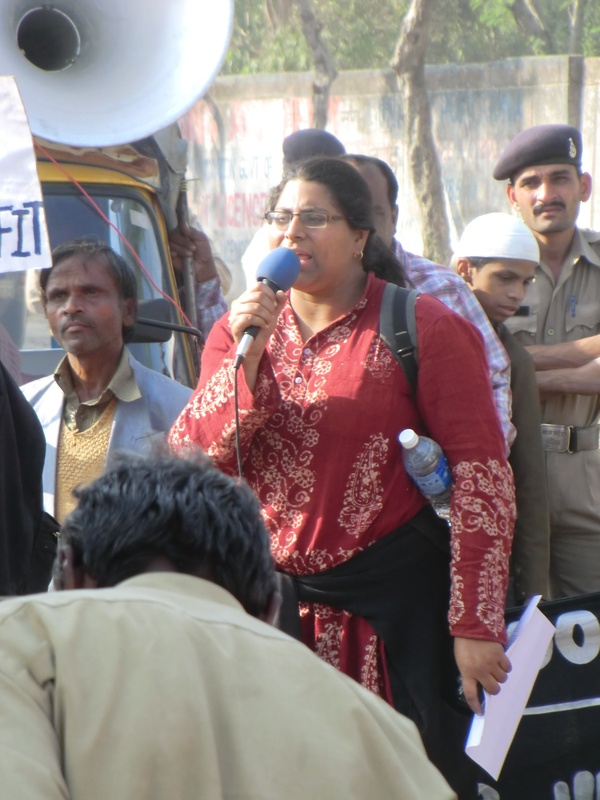 I met them both away from the public glare at the weekend: as the leaders of the International Campaign for Justice in Bhopal, they are the international faces of the campaign, both highly articulate, intelligent and tech-savvy. In fact, it was Rachna’s quotes to me about London 2012 having the “blood of Bhopal on its hands” in my first article in August which alerted the Indian media to this issue and which is the origin of today’s row. And here are some of the images of Friday’s main event when effigies of Dow’s stadium wrap and of Lord Coe were burnt with all the fervour of the Subcontinent. 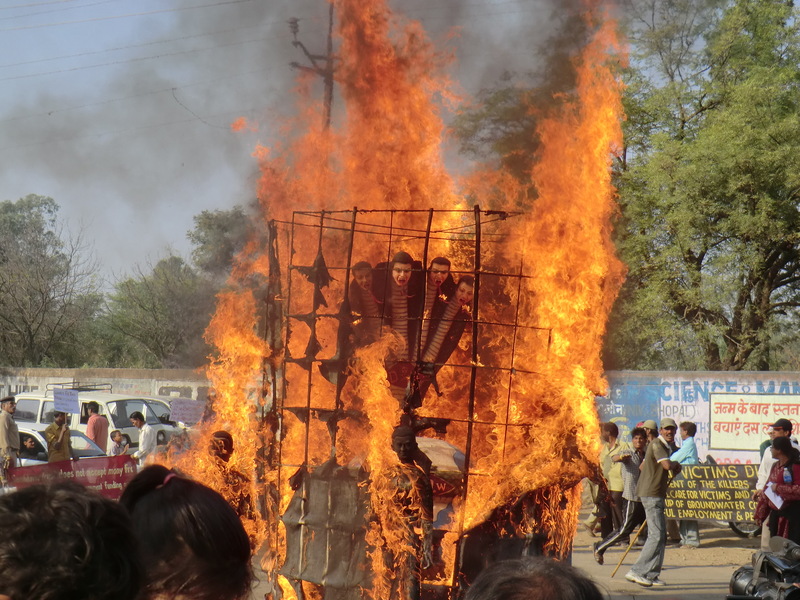 When I told one woman beating the burning effigy of Coe that his grandmother was from India, she smashed his “body” even harder. That wall in the background is the perimeter of the derelict Union Carbide factory. Guards block the entrance. 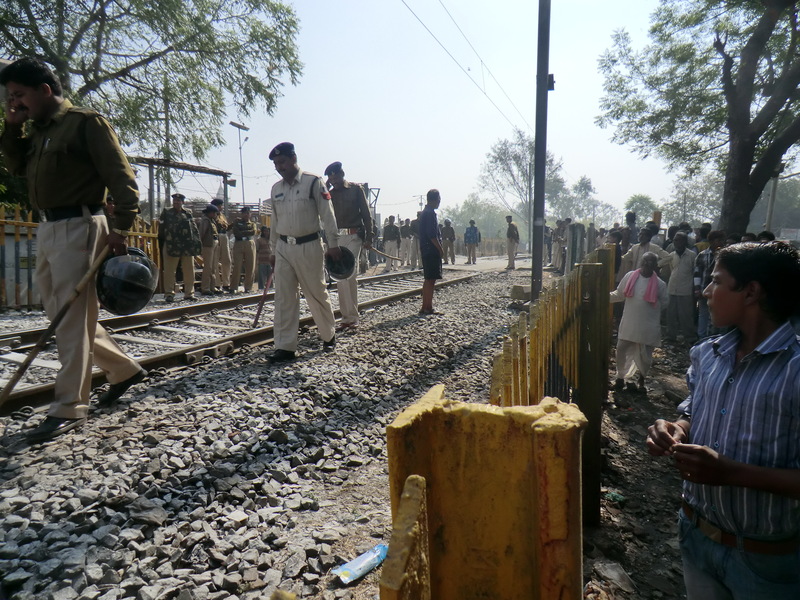 And here are a couple of images from the beginnings of the rail blockade on Saturday, which resulted in violence between protesters and police, the first time this has happened in 26 years of anniversaries. In the meantime, at last Tuesday’s full Tower Hamlets council meeting, the majority Labour group had intended to propose a motion (the principle of which was supported by Mayor Lutfur Rahman cabinet member Rania Khan) condemning Locog’s decision to award sponsorship of the 2012 stadium to the US chemical giant. To his credit, Newham Mayor Sir Robin Wales has already made his feelings known; see here.